The Department of Mathematics is one of seven departments making up Purdue's College of Science. The Department has an international reputation as an outstanding center for mathematical education, scholarship and research. Together with visiting researchers, its 65 professors provide it with active involvement in current developments in many major areas of mathematics. Faculty research interests can be found in the Faculty Research Areas list or in our Faculty directory. The Department offers the Bachelor of Science, Master of Science and Doctor of Philosophy degrees. Also, the Department is closely associated with other programs, including Actuarial Science, Statistics, and Computer Science. Please explore our website or contact us directly for more information about our undergraduate or graduate programs, faculty, research, job opportunities or information on how to support us. The annual department newsletter, PUrview, is a good place to read about Departmental news. In 2015 Lafayette was ranked second in Forbes Best Small Places for Business and Careers citing Purdue University and the Purdue Research Park as among the factors in its rankings. 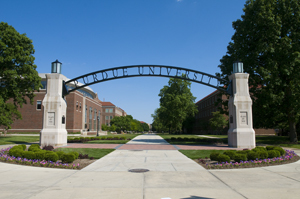 The university maintains a list of off-campus housing resources for the Purdue community. For families with children in kindergarten through high school, three school districts service the area: West Lafayette Community School Corporation in West Lafayette; Lafayette School Corporation in Lafayette; and the Tippecanoe County School Corporation in the county area. Public transportation is provided by CityBus. Traveling to visit Purdue University and the Department of Mathematics is quite easy. We're located in west-central Indiana and accessible by car, bus, train, or plane. The Purdue News Web hosts a page with a complete set of maps and travel information. Additionally, the Mathematics building can be located with various online map services: Google Maps, Yahoo Maps, and MapQuest.